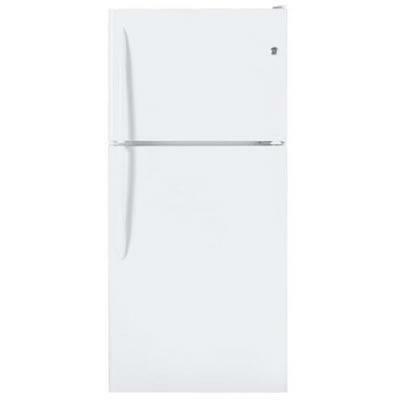 GE energy star top freezer refrigerator 20.0 cu.ft. 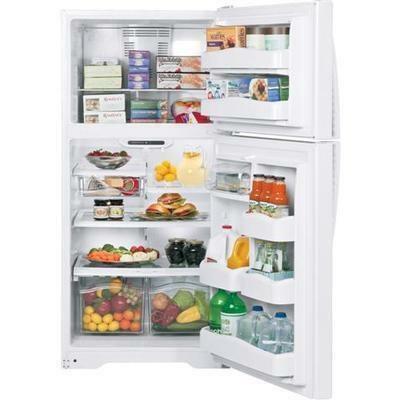 Conveniently stores favorite foods and allows for quick, easy access. A simple knob turn regulates interior temperatures with ease. A sturdy shelf provides additional storage for frozen foods. Deep bins handle large containers in the door for more fresh food space. Refrigerator 14.18 cu. ft. / 0.40 cu. m.
Freezer 5.78 cu. ft. / 0.16 cu. m.